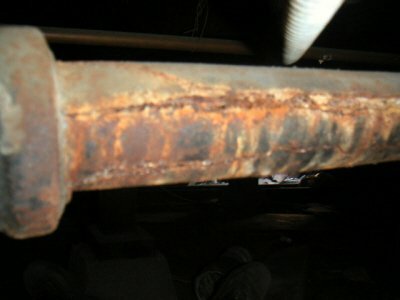 Old age pipe that has corroded and needs to be replaced. 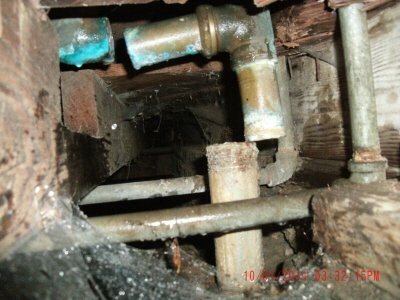 Under house sewer piping corroded and leaking. Many Pipes inside your property are made out some kind of metal: Galvanized pipe, Copper, or Cast Iron, metal tend to create mineral build ups and to corrode with time. 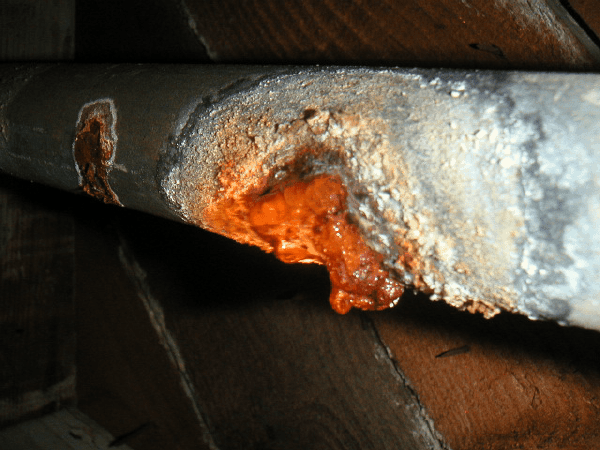 It is very important that you get regular inspections of your house piping, minerals build ups, and corroded metal can be bad for your health. You might also have leaks and bad joint soldering causing you to waste water and potentially leading to flooding. We are La Crescenta Plumbers and we are your local plumbing company, we have offered La Crescenta our plumbing services for a long time. 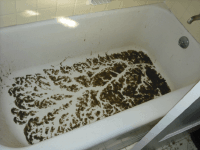 We are a licensed plumbing company with many years of experience working in La Crescenta. Because we are a local company, we see customers as member of our neighborhoods and communities. Please read why it is important to hire only licensed plumbers, and visit our services page, if you want to know all the services we provide. The Hydro Jetter uses the water to cut trough roots, grease, mineral build up and anything blocking your lines. It uses the power of water highly pressurized (4,000-10,000 psi). With our Trench-Less Pipe Replacement technology, we can reduce excavation sizes by up to 95% saving you money and time. As the local La Crescenta Plumbers we know everything we need to know about La Crescenta. We have taken the time to read about its history and its people. We encourage you to do the same you can visit Wikipedia La Crescenta.